Volume change in brain region linked to physiological changes characteristic of Alzheimer's disease. To examine the link between the two, a team of researchers from McGill and McGill-affiliated health institutes followed 88 individuals at hereditary risk of AD, but who did not show any cognitive signs of the disease. 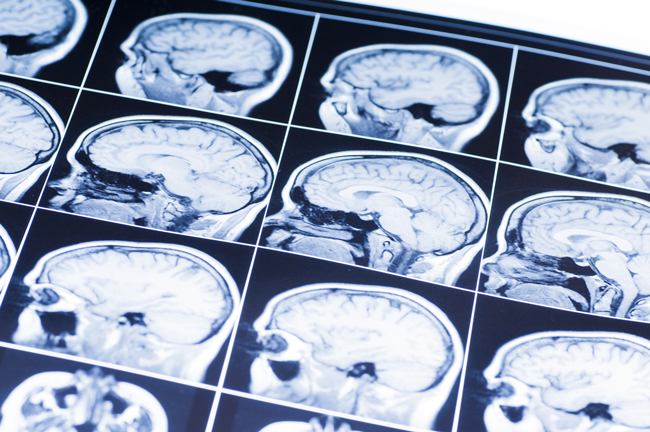 Subjects were scanned using magnetic resonance imaging (MRI) to determine brain volume and had cerebrospinal fluid (CSF) extracted to test levels of amyloid-Beta and tau. These data were collected by the Centre for Studies on the Prevention of Alzheimer’s Disease (StoP-AD) group at the Douglas Mental Health University Institute under the leadership of Dr. John Breitner. Their results add to our knowledge of how AD progresses from its first physiological signs to cognitive decline, helping identify those at most risk of AD. These biomarkers can then be used to test the effectiveness of drugs in clinical trials. It also may one day allow physicians to identify at-risk people with only MRI, eliminating the need for a lumbar puncture, which can be a painful procedure.